Just the other day, I read an interview with a well-known American climber and was going to post congratulations to his Facebook page when I found that I couldn't access it. Without my knowing anything about it, I had been blocked, which was curious since we hadn't had any contact, direct or indirect, in weeks, if not longer. Asking around, I found I was not not the only climbing writer to get this treatment and in fact a tweet from this climber informed the Twitterverse that "I love blocking jerkoffs on Facebook." Now it's neither here nor there to me if his FB page is inaccessible since I can keep track of this individual's exploits due to his numerous other self-promotional activities. And if I am considered a "jerkoff" with no further explanation (an email was sent but no answer so far) then that's pretty much it I guess. It wouldn't be the first time. But it raises an important issue for climbers who are hoping to leverage their presence on social media, an issue that has emerged with increasing urgency in other sports. The problem is how to keep the "dark side" under wraps when the urge strikes you to say what you really think. As they say about Vegas, what happens on the Internet stays on the Internet. This impulse to blurt out something silly is something that a well-known (and apparently former?) 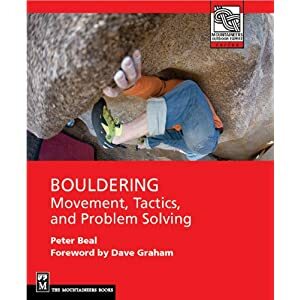 magazine editor has done in the past with this blog and indeed he recently speculated on Twitter about creating a video of himself chipping boulders with "a Peter Beal mask." Clever stuff as usual, but flattery like this will get you only so far in life. Anyway, in the new world of constant social media self-promotion, aspiring "athletes" need to be careful not to cross the line from being your own biggest fan to becoming too ardent a defender of your reputation and your tribe. The vibe is all about "psyche" and "stoke" and inclusiveness even as you name drop the places and personalities that give that extra shine to your aura. Keep the humblebrag quotient high and don't let your Instagram feed look too much like this. And remember to make nice with the little people as you rise to stardom. They're the ones you'll have to hang out with again on the way back down. Was having discussion with a friend when out climbing the other day. He doesn't really do social media and spray. Yet as a sponsored climber he is under growing pressure to get a twitter account and make so many post via social media a month as part of the sponsorship deal.